Give an overview of what works in engaging inactive people. Work through specific projects and support them to update their marketing to make it more effective. • what marketing messages, tactics and imagery work for engaging inactive people. 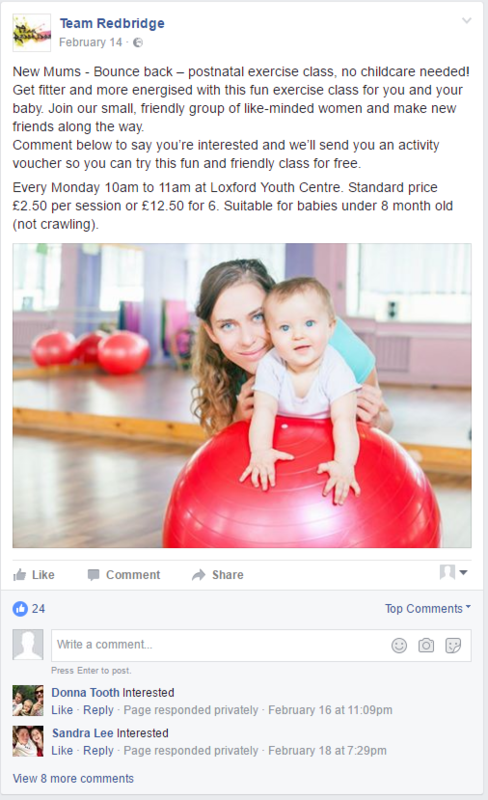 The team were really motivated to put the ideas into practice, and have started using Facebook Ads to promote their activities. This has led to an increase in enquiries for their existing activities.